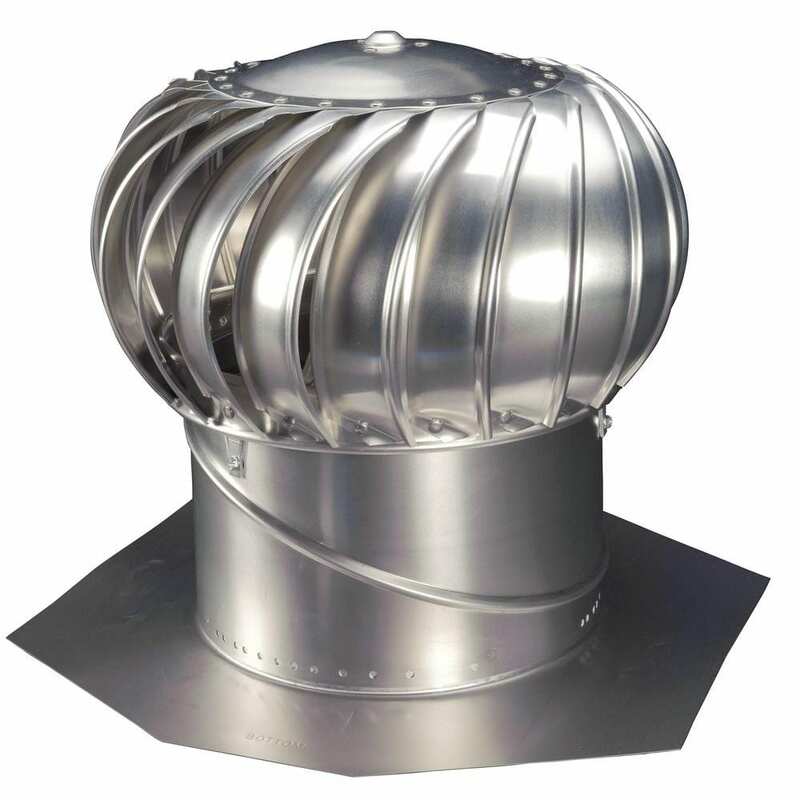 The Empire turbine ventilator is an aluminium-made whirlybird. It is available with Grainger, although you can purchase it directly from Empire Ventilation Equipment, the manufacturer itself. 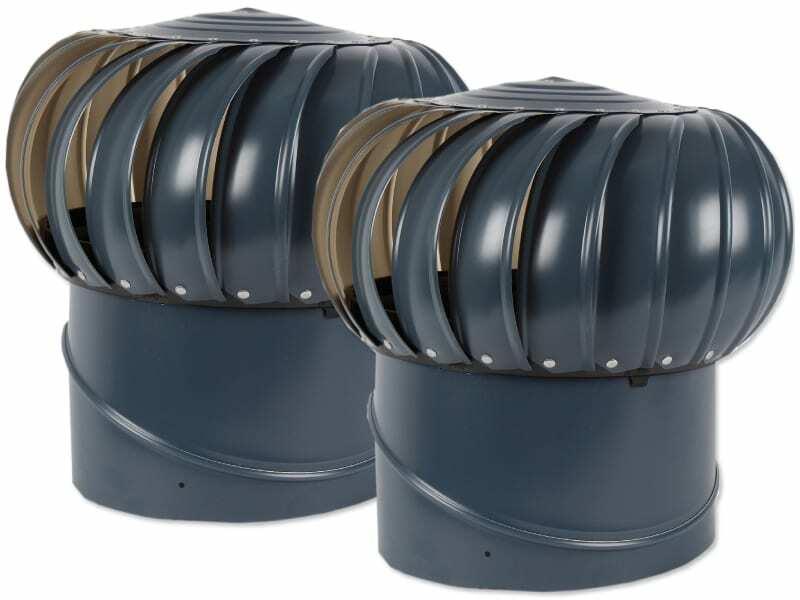 Empire constructs its full range of turbine ventilators from recycled materials, so they are environment-friendly products. 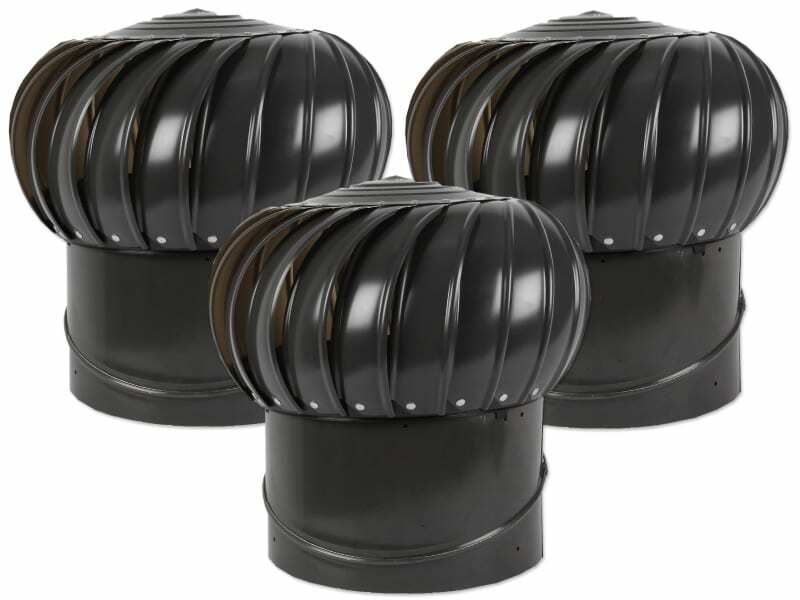 The Empire ventilators have an externally braced design with the external bracing made from high-quality steel material. This reinforces their galvanized steel structure and keeps them aligned even during high wind conditions. Inside the vents, Empire has used premium-quality oil-impregnated bronze bearings at the top and thrust-type bearings at the bottom. 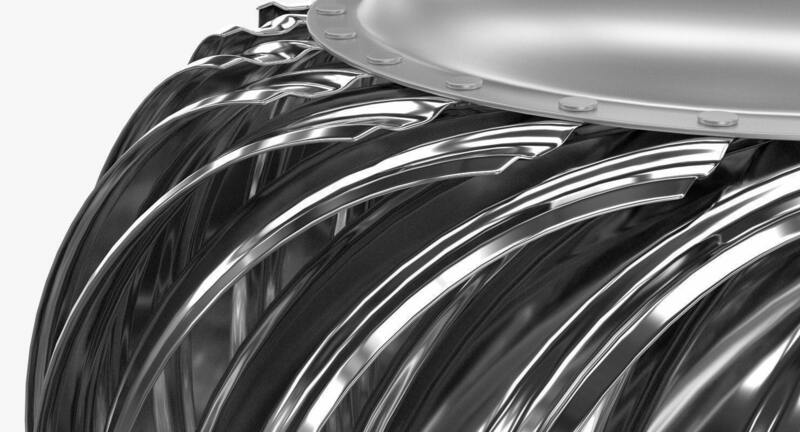 These bearings do not require any long-term maintenance on your part. The Empire vents operate entirely on wind energy. 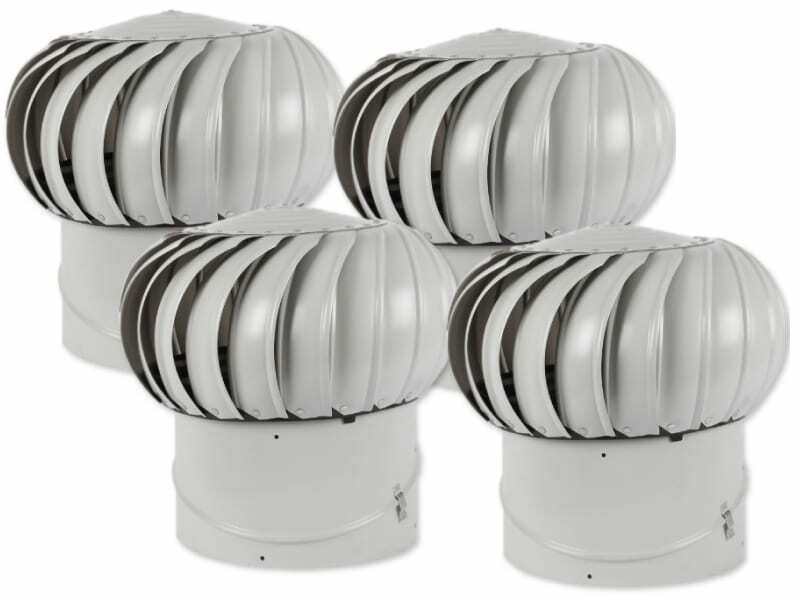 They can harness wind speeds as little as less than 10mph to rotate and ventilate the roof space of your home. In summers, this helps in removing the warmer air and brings in cooler air from outdoors. In winters, the ventilators exhaust moist air that condenses near the ceiling and prevent damage to the roof structure. Grainger sources Empire ventilators ranging in throat size from 4 inches to 24 inches. 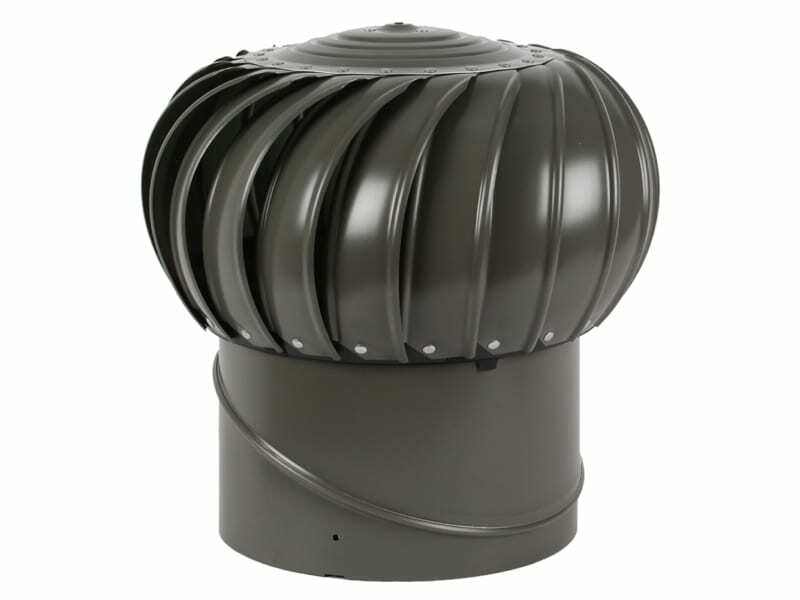 The smaller models are perfect for ventilating small to medium roof spaces while the larger models are effective for industrial and commercial facilities. Being turbo ventilators, the Empire vents require no power source. Instead, they rely entirely on wind energy and incur zero ongoing energy costs. This makes them a very environment-friendly way of ventilating homes as well as larger buildings.